Red Hawk Reserve is one of Sarasota’s bedroom communities east of Interstate 75, an area where real estate development falls under the guidelines of the Sarasota 2050 plan set in 2001 to manage the county’s growth for the next 50 years. Amongst other things, this plan discourages urban sprawl of Sarasota homes for sale east of the interstate. Instead, it fosters New Urbanist developments with walkable inter-connected neighborhoods featuring varied housing types, community parks and other gathering areas. With its location immediately north of Clark Road, Red Hawk Reserve readily conforms to the Sarasota 2050 blueprint. Just across the street from this community is the 123-acre Twin Lakes Park with a rich mix of amenities including walking/jogging trails, fields for baseball, football and soccer, tennis courts, picnic areas, restrooms and three ponds. 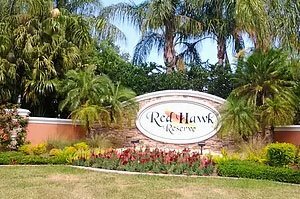 A private gated community, Red Hawk Reserve lots were meticulously platted so that each home site either have a lake or nature view from their lanais. This community site plan for a total of 147 home sites likewise provides the ultimate in privacy for residents as the homes don’t back up to each other. Red Hawk Reserve homes for sale were constructed in two phases. U.S. Home built Phase I of this community 2006 to 2008. National builder D.R. Horton took over construction in the 80 lots of the community’s Phase II from 2010 to 2014. Lot sizes in Red Hawk Preserve are large, with most measuring one-fourth of an acre. Some home sites are exceptionally larger at over one acre in size. With their generous areas, most residences in the community have a lanai area and a private caged pool. Prospective buyers can choose from one- or two-story homes for sale at Red Hawk Reserve. These residences are all spacious, with their floor areas ranging between 2,400 and 4,400 square feet designed with three to five bedrooms. Price quotes of available homes start in the $400s and top at the $600s. All Red Hawk Reserve homes for sale are of block construction and have a three-car garage. Quite reassuring, these residences are out of the flood zone, and the community is equipped with a state- of-the-art security system that includes high-res cameras for video and audio monitoring. Living in Red Hawk Reserve is an experience of socializing with friendly neighbors walking their dogs and kids biking on the community’s quiet streets. An assortment of endearing wildlife could be encountered in strolls around the community. The neighboring communities of Red Hawk Reserve are as charming, especially Foxfire wedged north of the community where part of the acreage has been declared a bird sanctuary. 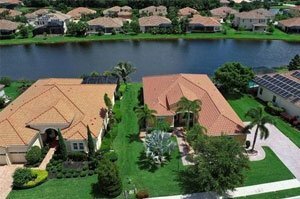 Other nearby residential developments include Foxfire West where some comparable Sarasota homes for sale are often listed on the market. Also just east of Red Hawk Reserve is the new-home neighborhood of Waverley. Many young families choose to settle in Red Hawk Reserve’s area because of its proximity to top local schools, such as Lakeview Elementary, Sarasota Middle, Riverview High, and Pine View School. This locality is also just minutes away from the points of interest at the University Town Center which hosts plenty of shopping and dining venues. 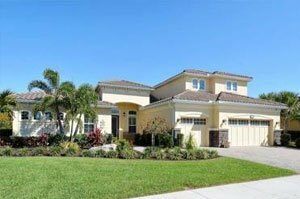 A 20-minute drive westward on Clark Road gets local residents to the world renowned beaches of Siesta Key, thus making Red Hawk Reserve homes for sale a must-see in searches of buying opportunities in Sarasota bedroom communities. Below are the current real estate listings available at Red Hawk Reserve.